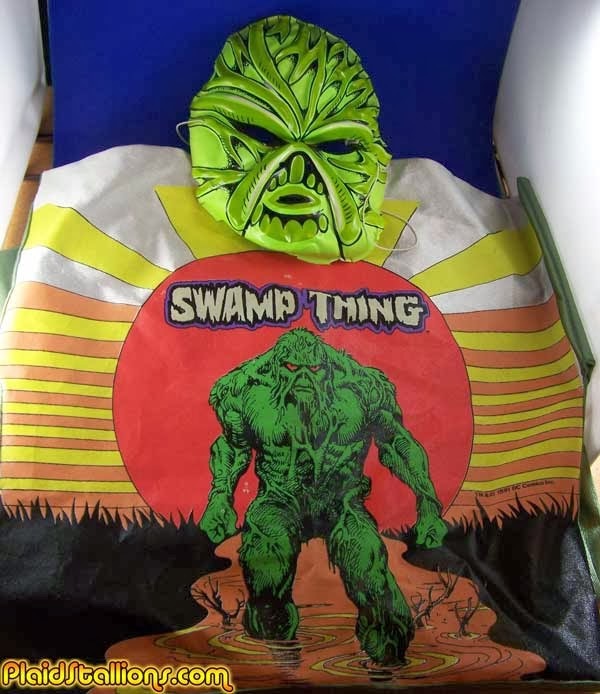 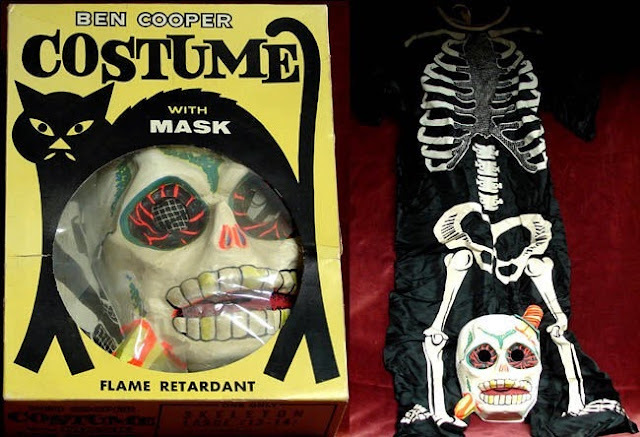 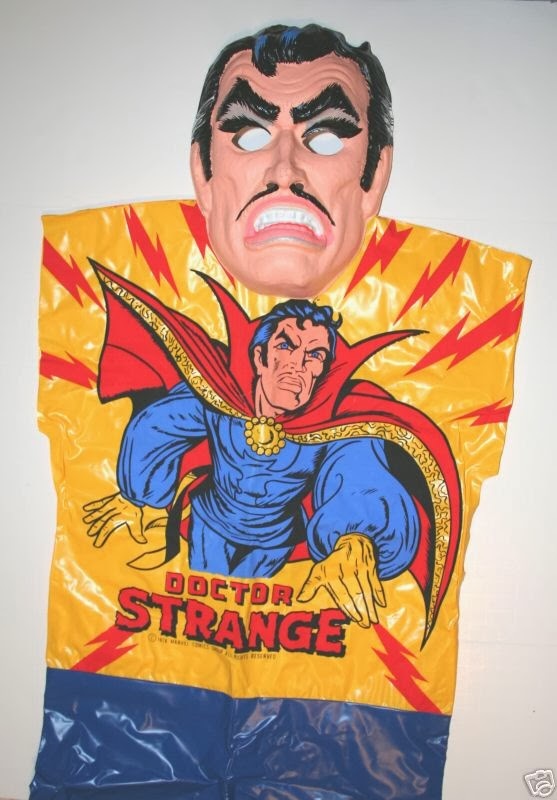 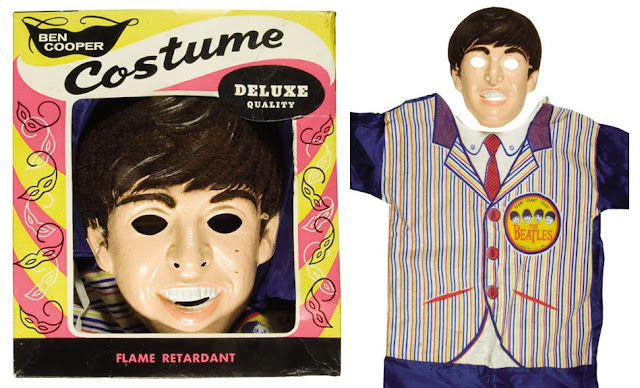 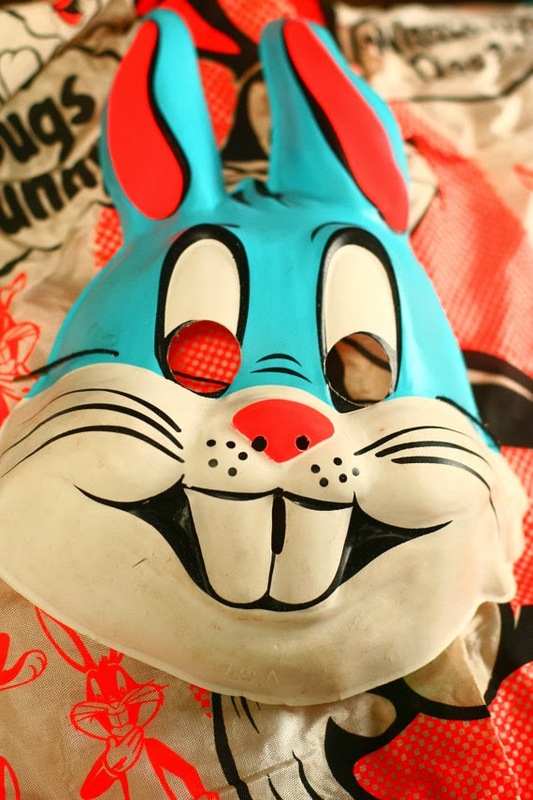 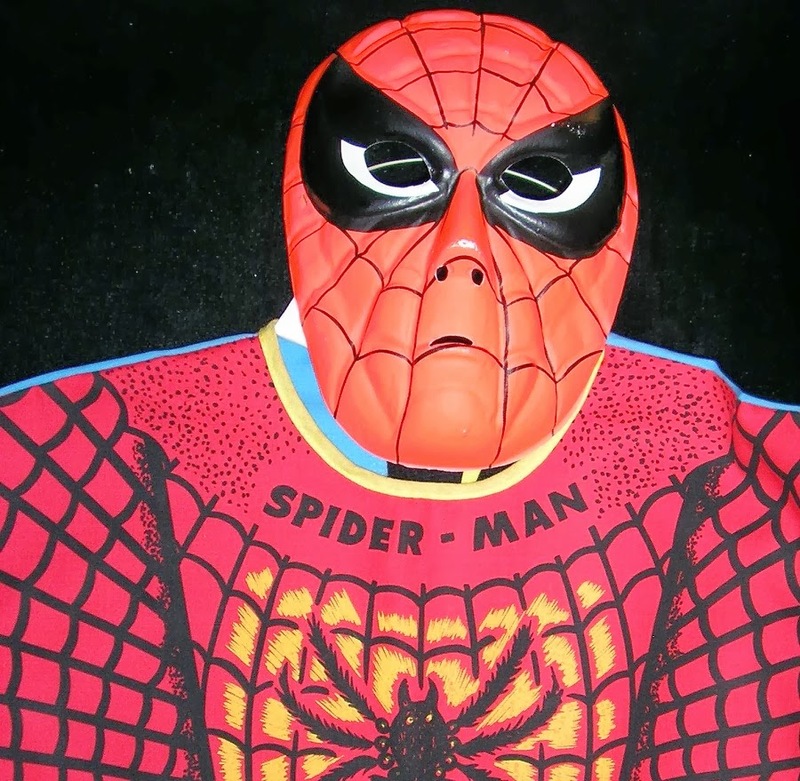 Anyone reading this who was a kid up through the mid-1980s probably spent at least a few Halloweens trolling for candy in a costume manufactured by the Ben Cooper company. 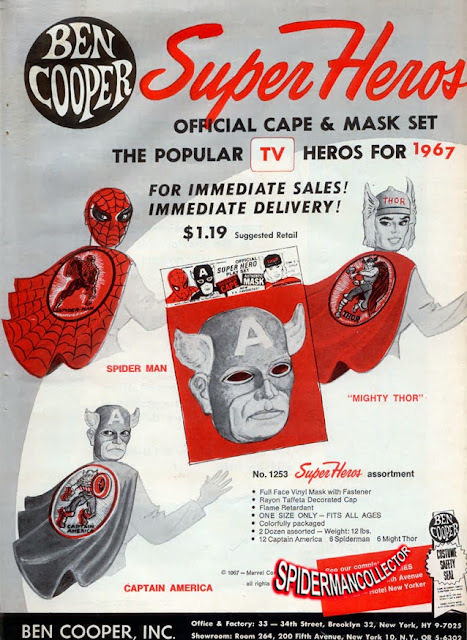 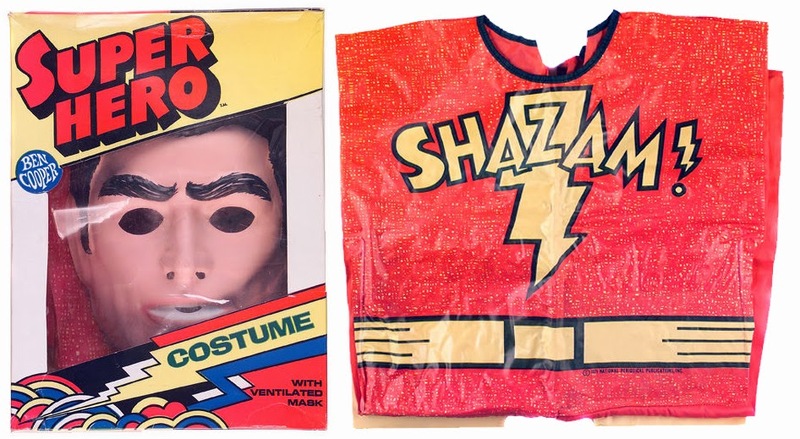 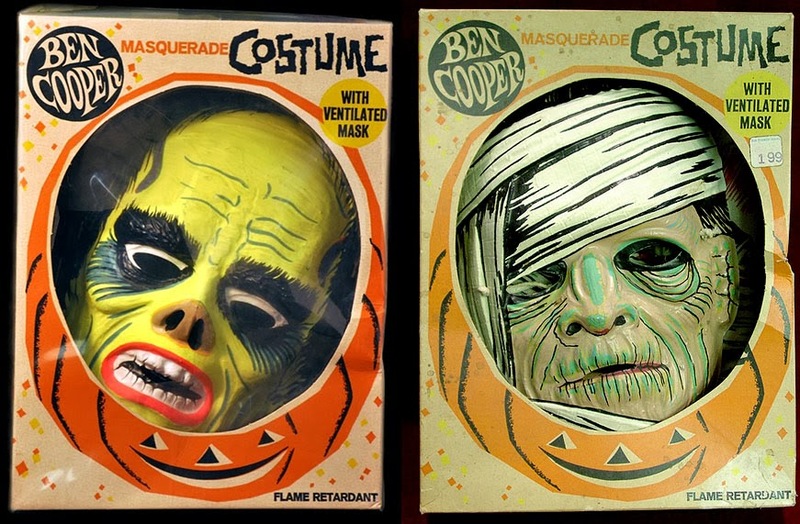 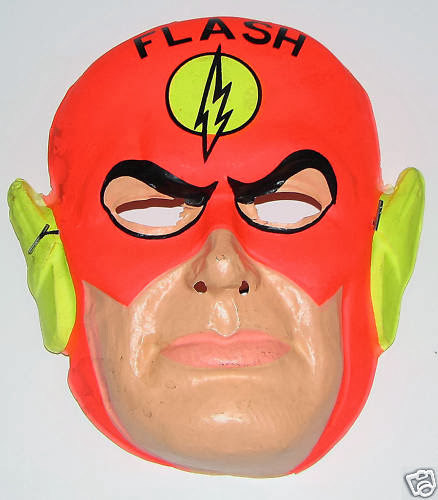 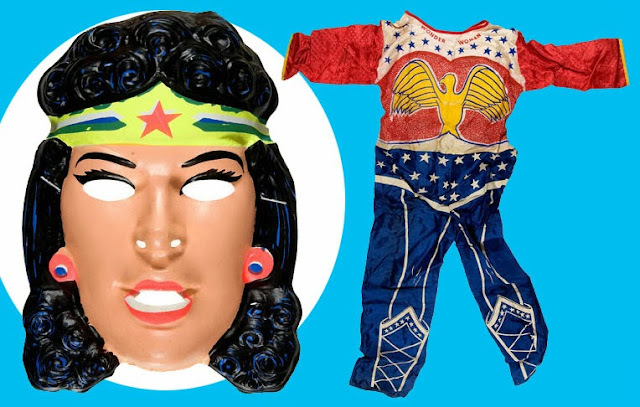 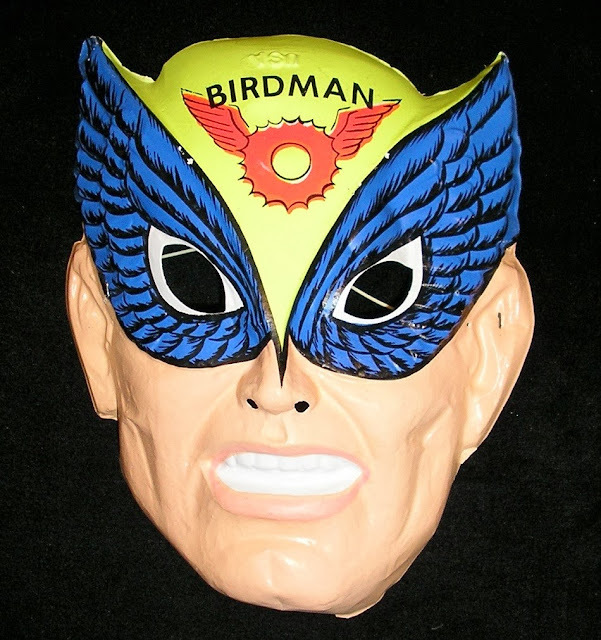 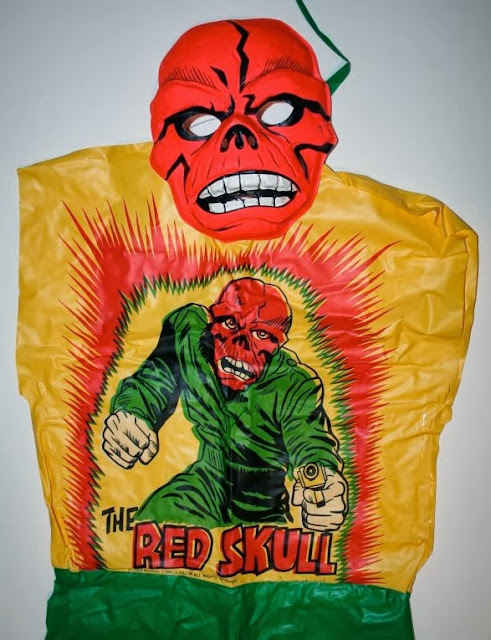 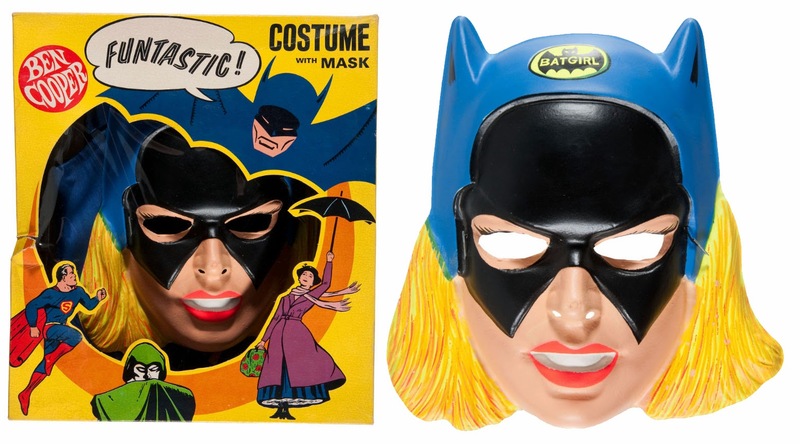 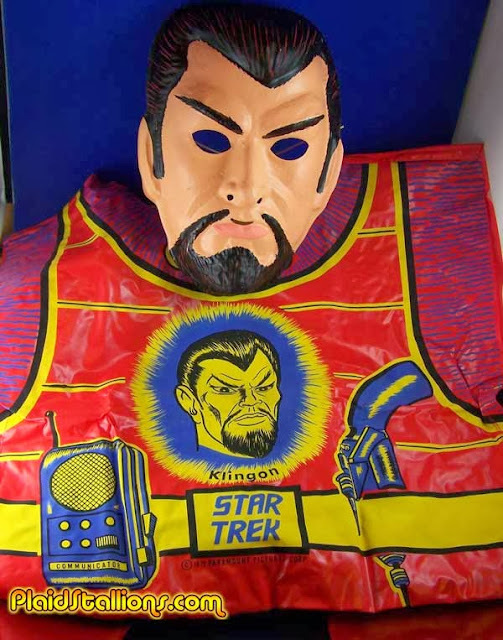 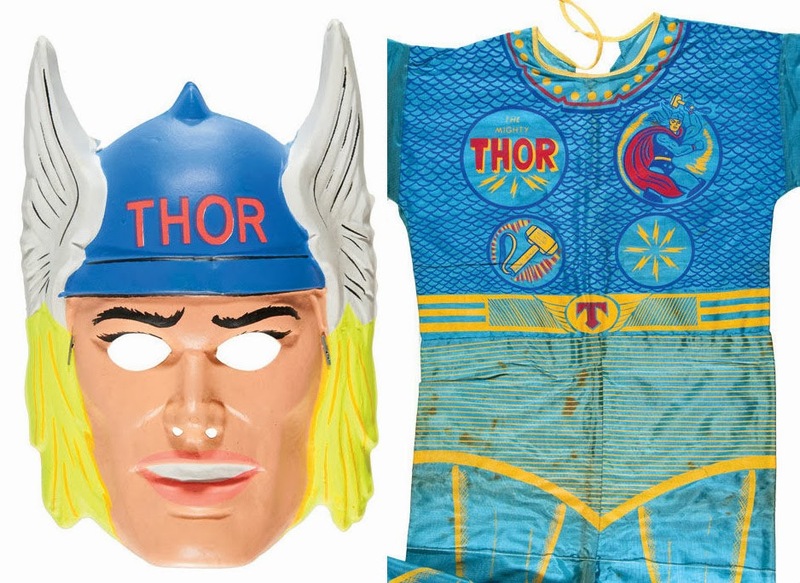 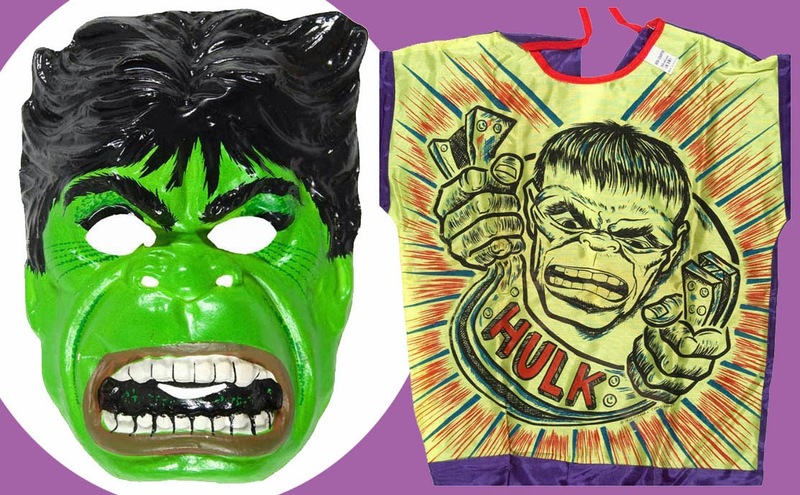 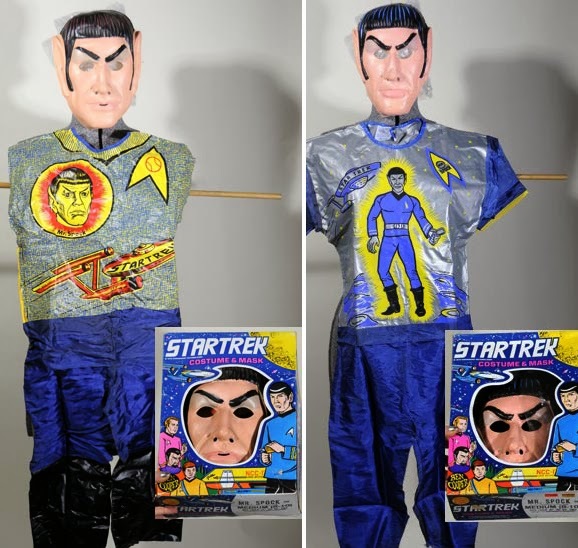 Founded in 1937, Ben Cooper, Inc. specialized in inexpensive Halloween costumes based on fictional archetypes, historical figures, and pop culture characters. 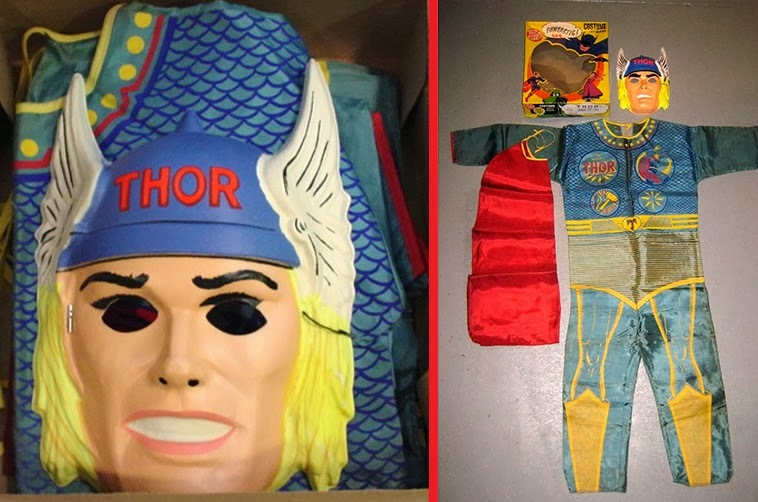 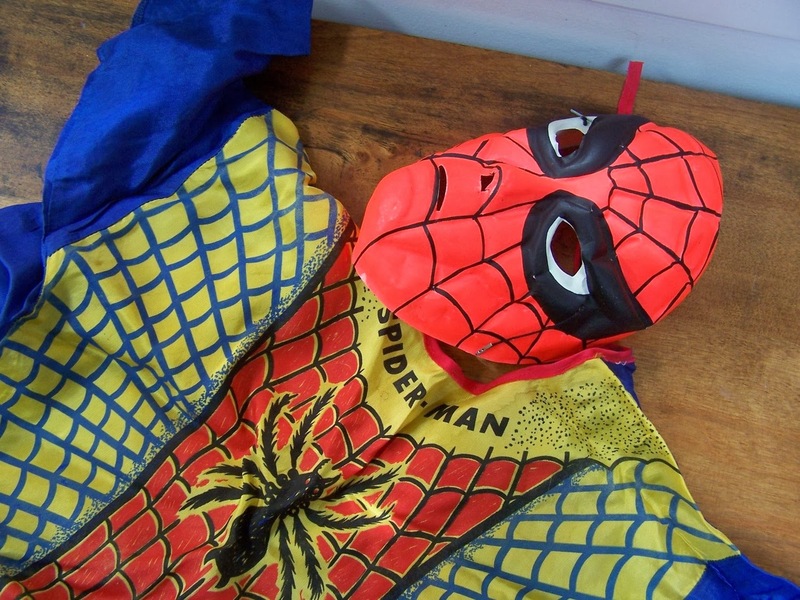 But kids who wanted to pretend they were Batman, Spider-Man, Darth Vader, King Kong or any other hero or villain had their bubbles somewhat burst the second they took the cheap mask and costume out of the box. 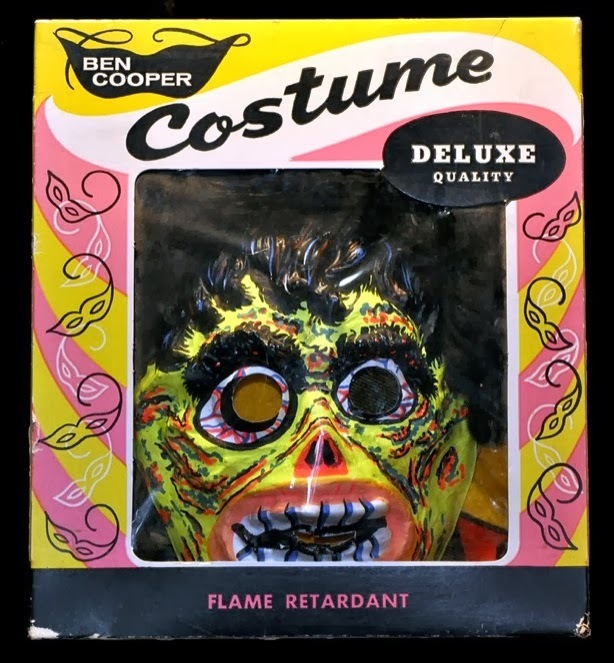 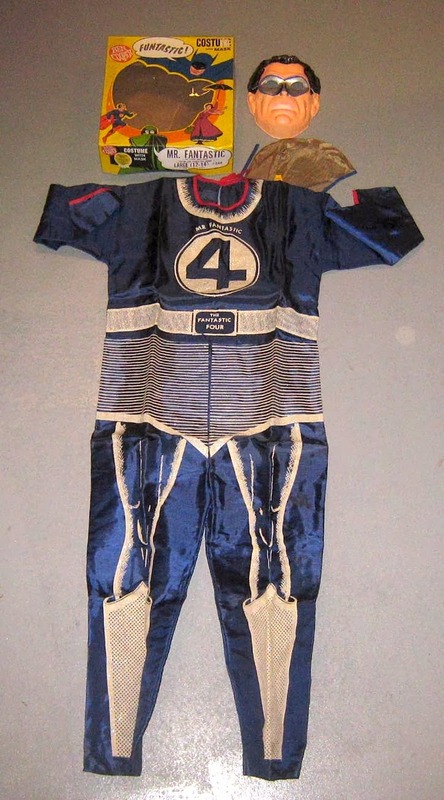 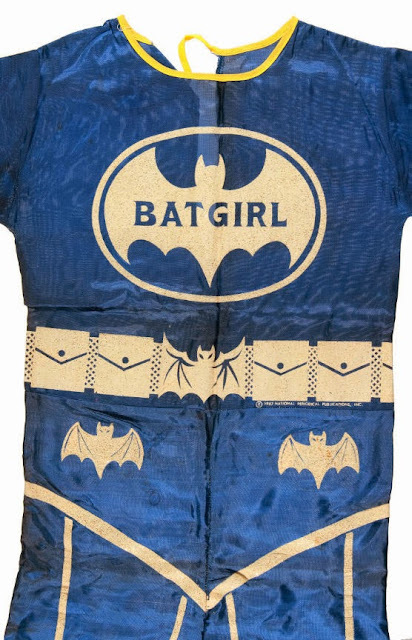 Rather than being miniature versions of the actual fictional characters' outfits, the Ben Cooper costumes were usually vague approximations at best, almost always enhanced with the name of the character plastered at least once across the chest, or head (or both!) 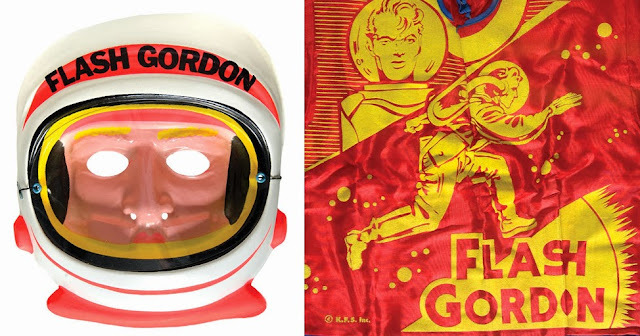 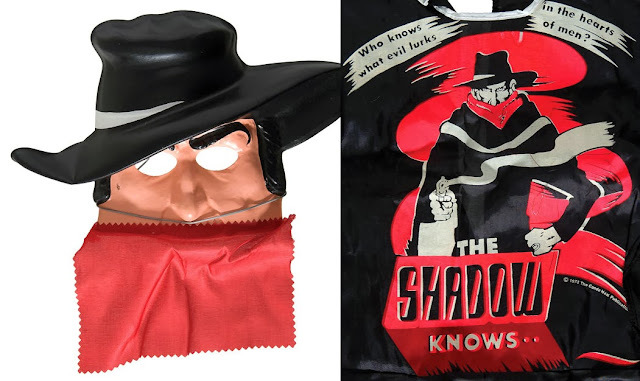 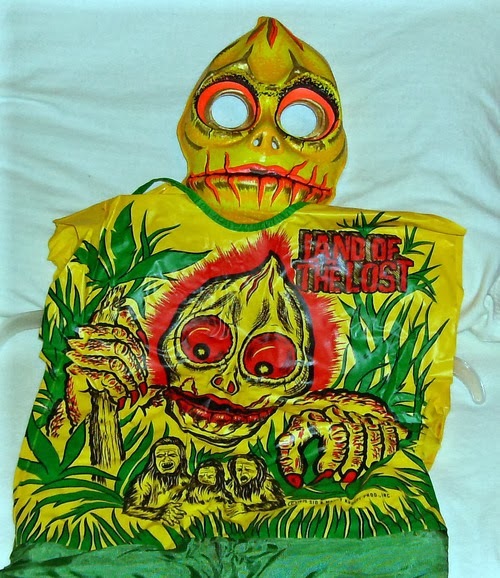 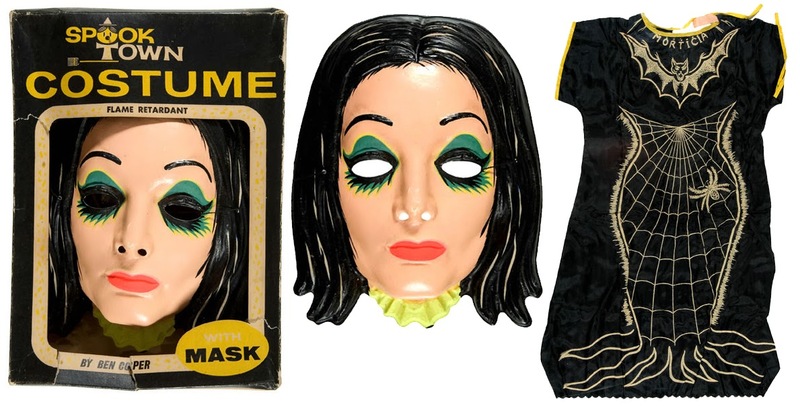 of the flimsy smock and plastic mask. Even more head-scratching were the costumes for characters like Green Lantern or Mr. Spock that—rather than imitate their sartorial preferences—splashed an illustration of the hero across the chest. 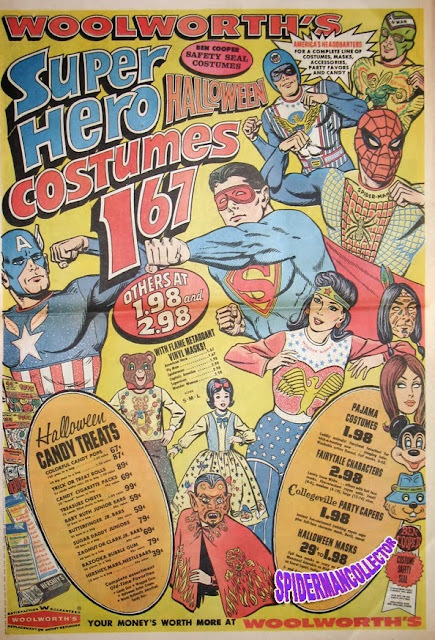 So, you were Green Lantern wearing a Green Lantern costume that... uh, had a picture of Green Lantern on it. Amazingly, despite the costumes' Halloween ubiquity for over three decades (alongside the similar Collegeville Costumes), there seems to be no definitive history of this iconic chapter of pop culture history. There's no Ben Cooper book, not even a website dedicated exclusively to their exhaustive catalogue. 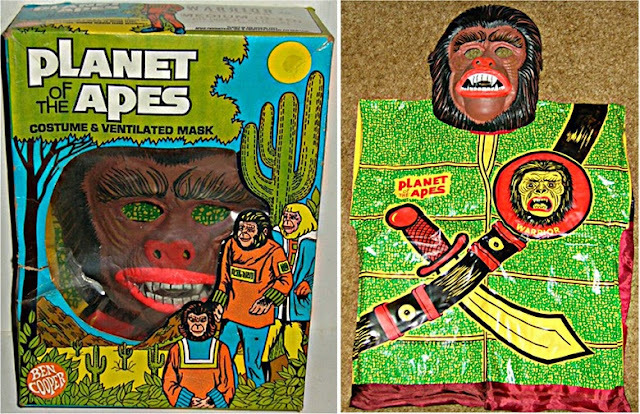 The time is ripe. 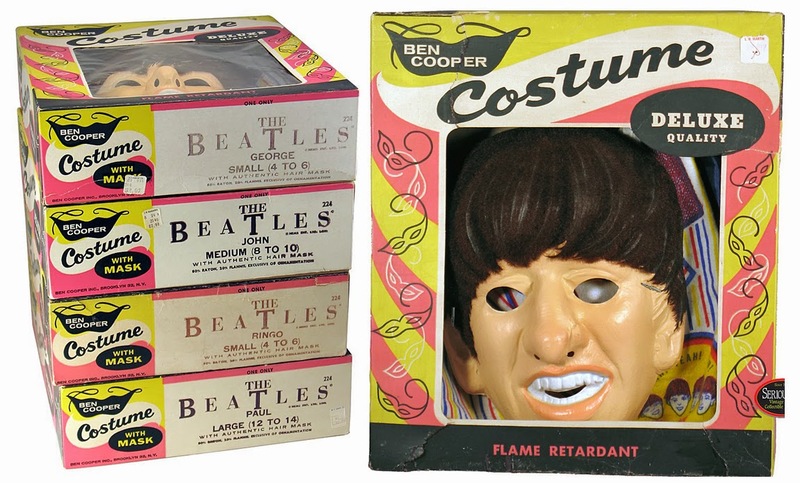 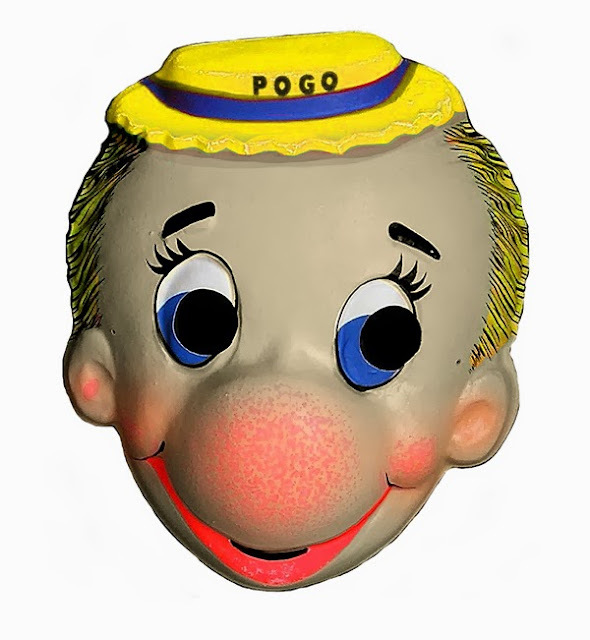 In the meantime, here's a Pops Gallery of over 50 Ben Cooper costumes, ads, and packaging, cobbled from around the Interweb Tubes (thanks to Plaid Stallions, the Wonderful Wonderblog, and Al Bigley's BIG GLEE! Archives for some of these images). 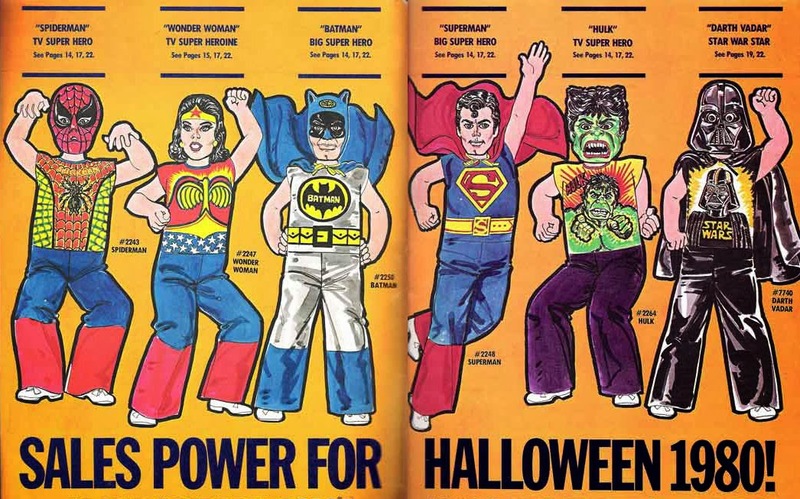 NOTE: This post is a companion piece to a series of drawings I did over on Tough Guy showing what five superheroes may have looked like if they had actually worn the Ben Cooper versions of their costumes. 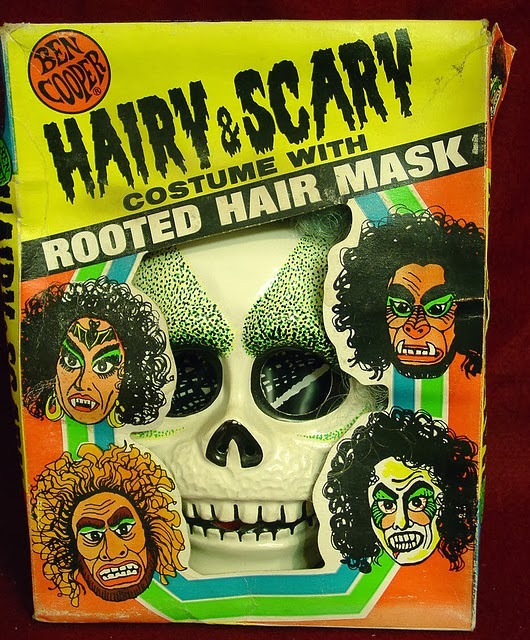 Please forgive the repeated (if altered) text!